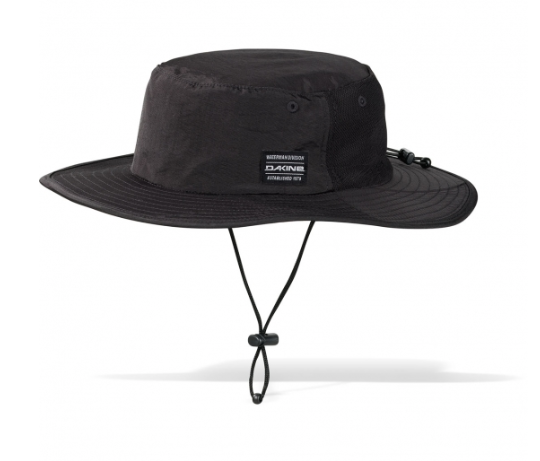 The Dakine No Zone hat offers everything you need for long days out on the water. This water hat combines a sturdy wide brim for sun protection with ventilation and quick-drying nylon blend to keep you burn free and cool. The No Zone water-friendly features include an adjustable chinstrap, and bungee cinch adjustment. Foam inserts in the brim provide flotation and also stabilize the brim in windy conditions. Stay active and burn-free out on the water with the No Zone water hat. Available in Black or Grey.